A Democratic lawmaker from California referred to Middle America as "Podunk, USA," during a committee meeting last week, several sources inside the meeting told the Washington Free Beacon. Remarks by Rep. Anna Eshoo (D., Calif.) during a closed-door Energy and Commerce Committee meeting with Federal Communications Commission Chairman Ajit Pai raised eyebrows from those present. Former Mayor Michael Bloomberg scoffed at rural Colorado’s reaction to gun control during an interview with Rolling Stone in this month’s magazine, suggesting that only the parts of the country without even the most basic components of civilization would be opposed to more gun control... “The NRA went after two or three state Senators in a part of Colorado where I don&apos;t think there&apos;s roads. It&apos;s as far rural as you can get,” he said. Tweeting caught up with a White House national security official found to have been posting insults and secret information about the Obama administration and other political figures for more than two years... "So when will someone do us the favor of getting rid of (Republican and former vice presidential contender) Sarah Palin and the rest of her white trash family? What utter useless garbage?" he tweeted last year. A flyover state is the huge region between the coasts. As opposed to the eastern seaboard, northern post-industrial states and Pacific Ocean states. They're overwhelmingly Republican, stanchly conservative, regressive right wing, evangelical Christian and working class, well, the loudest, most ill-informed of them are. The increasingly sneering attitude of coastal elites toward the more conservative interior, particularly for the poor communities there, is as undeniable as it is distasteful. A Newsweek writer, speaking on television, referred to Jones&apos;s reputation as "just some sleazy woman with big hair coming out of the trailer parks." And James Carville, Clinton&apos;s former adviser, made the comment: "Drag a hundred dollars through a trailer park and there&apos;s no telling what you&apos;ll find." Fox first said that she would “barter with him.” She then, however, went on to say, “... and instead of the entire planet, can you just take out all of the white trash, hillbilly, anti-gay, super bible-beating people in Middle America?" Here is a prime example of the state of "progressive" thought in America circa 2012: Eastwood, of course, has a political resumé of his own, having served a two-year term as mayor of the upscale and frighteningly white community of Carmel--with a population of 3,800, there were only eight African Americans recorded in the 2010 census--very close in size and demographics to Sarah Palin&apos;s Wasilla, albeit without the meth labs and strip malls. Get up, come on get down with the sickness. BOSTON (AP) - A new study on the generosity of Americans suggests that states with the least religious residents are also the stingiest about giving money to charity. The study released Monday by the Chronicle of Philanthropy found that residents in states where religious participation is higher than the rest of the nation, particularly in the South, gave the greatest percentage of their discretionary income to charity. The Northeast, with lower religious participation, was the least generous to charities, with the six New England states filling the last six slots among the 50 states. Montana Gov. Brian Schweitzer had some curious remarks last month about his own constituents - describing some of them as rednecks with a penchant for making racist comments. Schweitzer told the Ohio Democratic Convention, "All over Montana, you can walk into a bar, a café or even a school or a courthouse and just listen for a while as people talk to each other, and you will hear somebody, before very long, say something outrageously racist about the people who have lived in Montana for 10,000 years." "They get bitter, they cling to guns or religion or antipathy to people who aren&apos;t like them or anti-immigrant sentiment or anti-trade sentiment as a way to explain their frustrations." 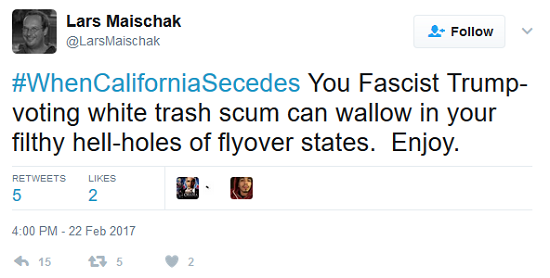 February 2017: ThinkProgress "Justice Editor" Ian Millhiser shows his true liberal colors before deleting his tweet. 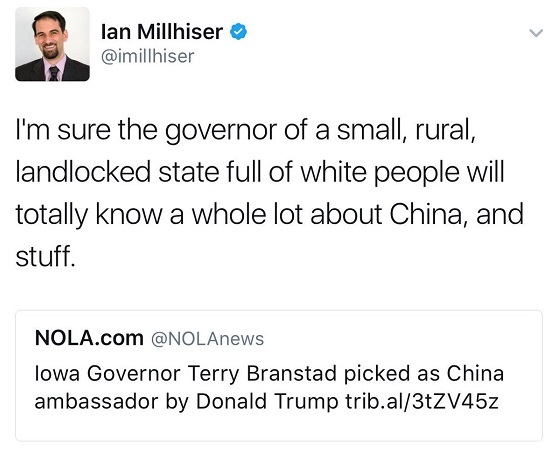 "I'm sure the governor of a small, rural, landlocked state full of white people will totally know a whole lot about China, and stuff." Pssst... Ian - Bill Clinton was also the governor of a small, rural, landlocked state full of white people. 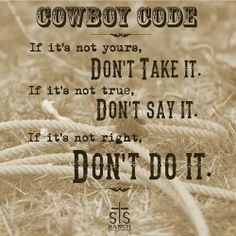 Think before you speak, liberal. New York Times columnist David Carr responds to Bill Maher implying Alabama and Kansas are not the "smart states." David Carr: "If it&apos;s Kansas, Missouri, no big deal. You know, that&apos;s the dance of the low-sloping foreheads. The middle places, right? [pause] Did I just say that aloud?"